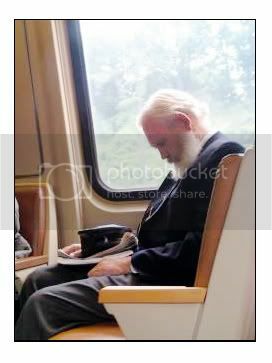 Tiana Simpson Photography: Santa on the metro - in August? I forgot about this picture until I was downloading pictures this morning and saw it. there were these two little kids sitting in front of us. They were probably 5 and 6 years old. This gentleman above gets on the metro and sits across from them. Boy: "Do you think it is really him"
Girl: "Yes it really looks like him"
Boy: "But why would Santa be here now, it isn't Christmas"
Girl: "Maybe Santa works here, down here on earth"
"Hey look - Santa is sleeping on the metro!" I don't think Santa even noticed the stares or comments! It was the most entertaining metro ride I have had in a while.